If you want a monster, you have to let all the little monsters go. There are adrenaline-fueled moments when a bird with a 9-inch beard looks colossal, so every time your attention is getting sucked in by Mr. 2-year-old, slap yourself across the face and remind yourself of what a true biggey looks like. Never let greed lower your standards, especially when hunting. In my 30 years of turkey hunting, I have only seen a couple of dominant gobblers roost right over their strutting zones. They just don’t do it. If you are not aware, these zones are where the boss tom sets up shop during the daytime and services visiting hens. If you can find a good ambush site on his morning route between his roost and his strutting zone, it should be automatic. Rutting toms stink up their zones by being in contact with the ground all day long and smart birds know that predators like easy meals. So, old thunder chickens with big brains like to sneak up on their own strutting zones to gain a danger detection advantage. Nothing goes unnoticed by a traveling tom when his head is up and alert, his ear holes are dilated and his eyes focused like laser beams. They actually have an advantage over most living things while walking around in this perpetual state of vigilance. Set yourself up in the right spot and you’ve created an ambush. I always like to share my favorite tactic for killing the oldest and wisest toms because so-called experts say that my method is not viable. My big secret is not really secret. I stumbled upon this technique in the early 1990’s during a very frustrating day in the turkey woods. I know all of the big boys were zoned up but one reckless gobbler kept answering every hen that was looking for him. This was his mistake. With every excited gobble, he let me pinpoint his location and I began a long sneak on him. 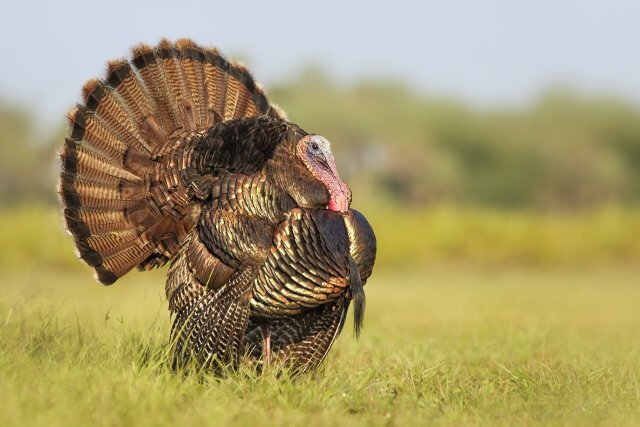 Everyone knows that sneaking up on a turkey is next to impossible, but when they are in their zones and while strutting and breeding, a child could put together a successful stalk. For starters, he is relaxed because he imagines that all of these visiting hens have his back and will alert him to danger. He is wrong. Although hens will spook if you are in their face, they mostly don’t care about anything but getting serviced and getting back to their nest. Also, their fanned tails make great site barriers that you can use as a shield to keep his eyes from your movements when his back is turned. Noise doesn’t bother a gobbler in the zone because he is expecting approaching hens to make noise. Unless you get within 20 feet of a hen set on breeding, she won’t pay attention to you as long as you stop moving when she looks at you. Good luck and keep those standards high.